Pittsburgh, PA (August 20, 2015) – Hanna Langholz Wilson Ellis (HLWE) has announced its move to new offices in One PPG Place. 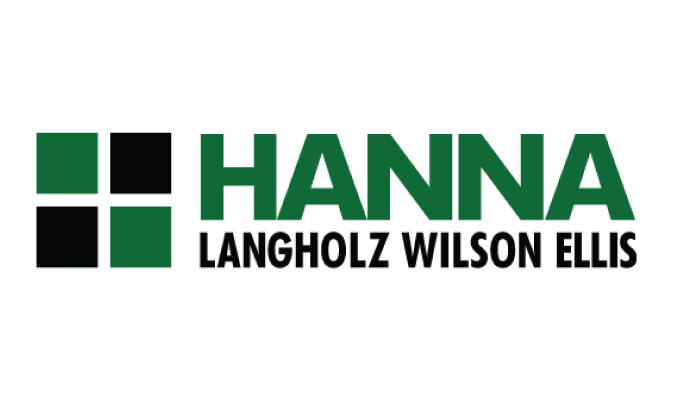 This marks the final phase of the merger of Hanna Commercial and Langholz Wilson Ellis. The Hanna Langholz Wilson Ellis legacy in Pittsburgh real estate spans nearly 90 years through various companies & names, culminating with the merger of Langholz Wilson Ellis, Inc. and Hanna Commercial Real Estate in December of last year. Both companies were previously based in other areas of downtown Pittsburgh with Langholz Wilson Ellis at 606 Liberty Avenue and Hanna Commercial in the Koppers Building on Grant Street. Now located on the 16th floor of One PPG Place, the new Hanna Langholz Wilson Ellis headquarters is state of the art, with twenty private offices, multiple conference rooms, and the finest views of the city to serve the company’s 35 brokers and associates. In addition to the new offices, signs with the new Hanna Langholz Wilson Ellis logo can now be seen all over the city, Western Pennsylvania and West Virginia. New signs have also appeared throughout Northern Ohio and Southeastern Michigan for sister company Hanna Commercial Real Estate, based in downtown Cleveland. Hanna Langholz Wilson Ellis is an active participant in the ever-changing commercial real estate market. Areas of specialty include retail, office, industrial, and investment commercial brokerage services with service to all of Western Pennsylvania and West Virginia. For more information, please contact Hanna Langholz Wilson Ellis, One PPG Place, Suite 1640, Pittsburgh, PA 15222, at (412) 261-2200 or visit online at HannaLWE.com.